Even though officials at Burton Scot Contractors are accustomed to yearly growth and revenue increases, they all place the benefit of working with familiair faces at the top of a length reward list. 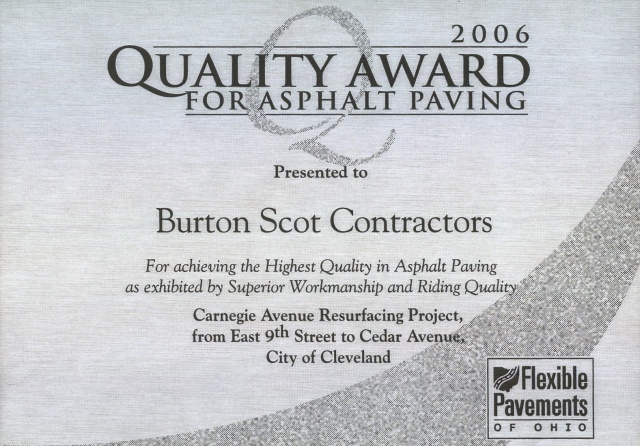 The Ohio Department of Transportation District 12 was recognized by Flexible Pavements of Ohio at their Annual Meeting on March 13, 2002. 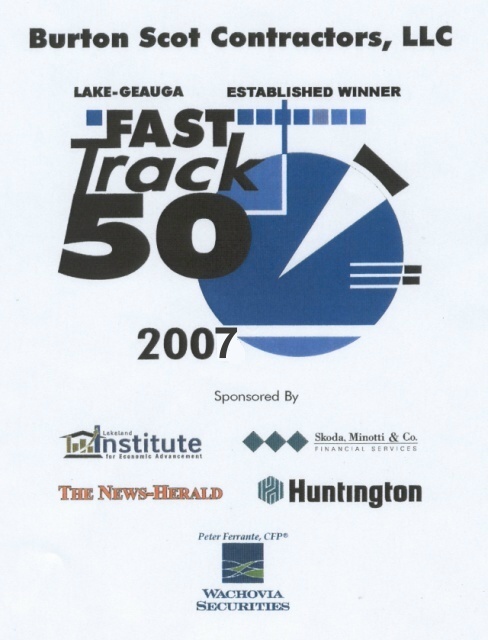 District 12 was awarded a Quality Paving Award for a Comercial Parking Facility in the Overlay Category for the rehabilitation of the Headlands Beach State Park in Mentor. 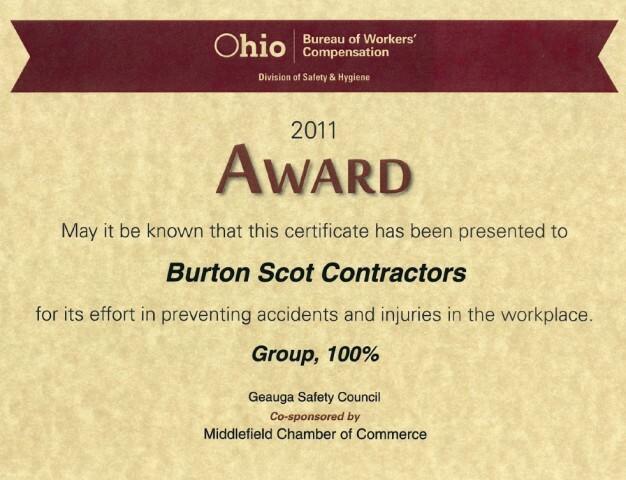 Burton Scot Corporation was the prime contractor of this $750,000 project that began April 3, 2001 and was completed on December 15, 2001. Representing District 12 and receiving the paving award at the annual meeting were Mark Gabele, P.E., Project Engineer and Ray Bencivengo, PE, Area Engineer, Construction. Congratulations to the D-12 Headlands Beach State Park team on the quality paving award.